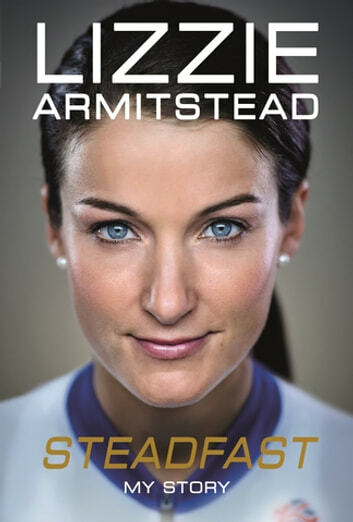 On the eve of the 2016 Olympic Games, the biggest moment of her life, Lizzie Armitstead's career was thrown into turmoil. After being cleared to ride the Games at the final hour following a successful court appeal to overturn an alleged missed drugs test, the ensuing leak and backlash threatened to engulf her. Now, for the first time, she tells her story, and reveals how she went from World Champion and darling of Team GB road cycling, to one of the most scrutinised athletes in British sport - how it happened, why it happened, and how Lizzie cleared her name and came out fighting. 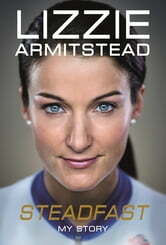 In Steadfast Lizzie Armitstead takes the reader to the heart of the most demanding of endurance sports and the challenges faced by one of its most gifted competitors: from sexism and the fight for equality, to doping and the incredible sacrifices required to self-coach herself to world titles. From the rolling hills of Yorkshire through to the treacherous climbs of the Vista Circuit in Rio de Janeiro - through setbacks, life lessons and ups and downs of a professional life in cycling - Steadfast is an intense and inspiring story of sporting triumph. Lizzies book took me back to my own experience of racing. There has been progress for women in cycling at this level although there is still a way to go. However apart from the cycling there are some good messages too about womens lives in general. I think lizzies book should be on the national curriculum. Congratulations on a superb book.